The Stevens Group, as the Boston affiliate of ITRA Global, is a commercial real estate advisory firm specializing in tenant representation. The Stevens Group has been nationally certified by the WBENC (Women’s Business Enterprise National Council) as a WBE (Women’s Business Enterprise.) It is the only WBENC certified commercial real estate firm in the Greater Boston area specializing in exclusively representing corporate tenants and occupiers of commercial real estate. 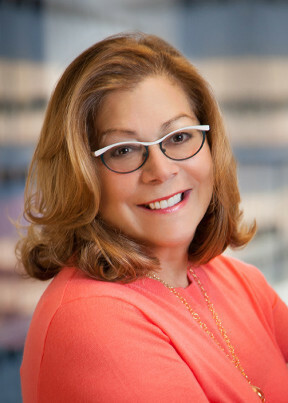 Debra Lee Stevens is a Partner and Principal of The Stevens Group, and has been active in the commercial real estate industry for over 33 years, servicing both the private and public sectors. During that time she has been involved in hundreds of corporate site searches, lease negotiations, building sales and valuations, taking the attitude that real estate decisions can “make or break” a company. Ms. Stevens’ expertise in office and R&D properties in the greater Boston and Suburban markets has enabled her to complete transactions averaging $30 million per year. Past client transactions have included, among others; Metropolitan Area Planning, GSA, Early Sense, Dune Medical, TraceLink, Artisan Healthcare, Pellion, Medical Capital Advisors, Aras Corp., Cogito, UAE, Stonebridge, FMS, Alpi USA and Vee24. Ms. Stevens has been active with the New England Chapter of CCIM (Certified Commercial Investment Member) and has served as chapter president and regional vice president of the institute nationally. Mark A. Stevens is a Partner and Principal of The Stevens Group. A forty-year veteran of the real estate industry, Mr. Stevens specializes in representing corporate users in the leasing, acquisition and disposition of office, research and development, manufacturing and industrial facilities. 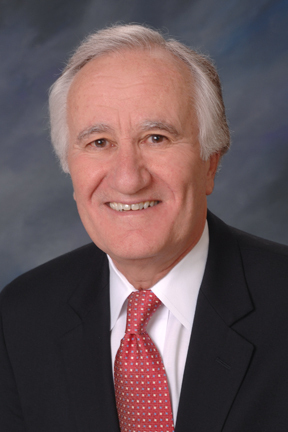 During his career, he has worked with and represented numerous local and national companies including LeMaitre Vascular, Boston Beer, Masco Corp, Tyco, TEVA Pharmaceuticals, SimplexGrinnell and Del Monte Foods. He has also assisted the General Services Administration (GSA) in the procurement of facilities for various governmental agencies. Mr. Stevens has held leadership positions in several organizations and has served as President of the New England Chapter of SIOR (Society of Industrial and Office Realtors), President of CBA (Commercial Brokers Association of Boston) and Vice Chairman of ITRA Global. In addition, he has qualified as an expert witness, providing testimony on the impact of environmental contamination on property values, and has testified on behalf of clients in rent arbitration proceedings. Boston is one of the oldest cities in the United States, largest city in New England, and is considered the economic and cultural “Hub” of the region. The City of Boston has a population of 608,352 and covers 48.9 square miles, making it the twenty first largest city in the country. Boston is also the anchor of a substantially larger metropolitan area called Greater Boston, home to 4.5 million people and the tenth-largest metropolitan area in the country. Boston ranks first in the country in jobs per square mile ahead of New York City and Washington, D.C. The city’s economy is primarily based on medical research, electronics, engineering, finance, technology, and biotechnology. One of the most famous annual events in the city is the Boston Marathon, the 26.2 mile (42.2 km) run from Hopkinton to Copley Square in the Back Bay. The Marathon, the world’s oldest, attracts participants from around the world. Boston is also home to four professional sports teams, the Boston Red Sox, New England Patriots, Bruins and Celtics, all of which have won Championship Titles, including the 2013 World Series.